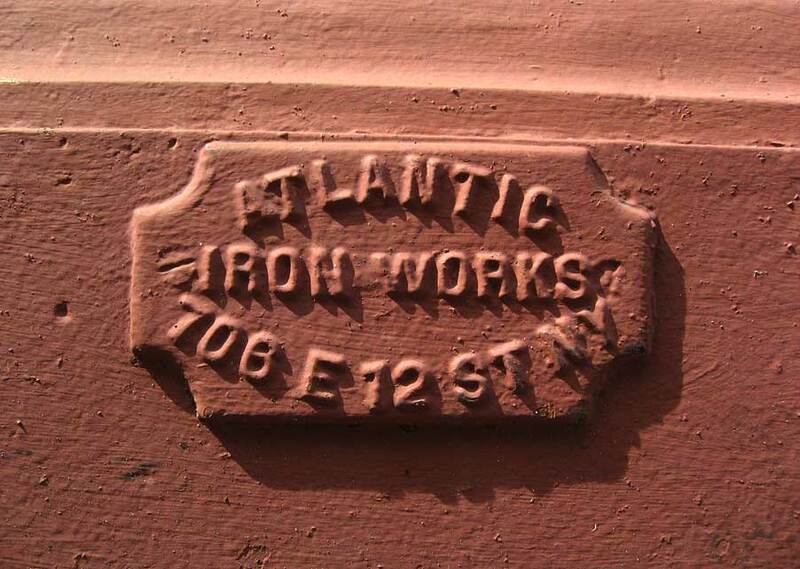 The foundry call Atlantic Iron Works located at 706 E. 12th St. was the property of Daniel D. Boyce and John Rogers McIntire during the years 1868 to 1877. 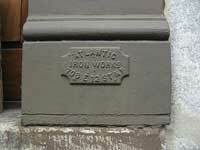 It then passed to Burnet & Co., consisting of James J. and Gilbert J. Burnet, until the demise of this company in 1888. 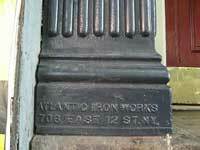 For the history of Boyce and McIntire see their foundry mark page. For Burnet & Co. see the Burnet, Jackson & Co. page. This ad from Trow's New York City Directory, 1883, shows that Daniel Boyce remained as superintendent of the works while the Burnets were proprietors. 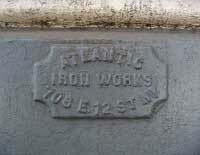 The verso of this ad provides an image of the works located at 704-706 E. 12th St.